The 1/2 outside corner post is a one piece unit that sits on the outside of the meeting point between two adjoining walls. It provides the channel to receive siding from each wall. Manufactured with KP's exclusive ChromaLock vinyl formula. Protects your walls from water infiltration. Custom cut for easy installation. The 1/2 inch Inside Corner Post is used at inside corner of two adjoining walls and receives the siding on either side. The 1/2-inch Inside Corner Post is used at inside corner of two adjoining walls and receives the siding on either side. 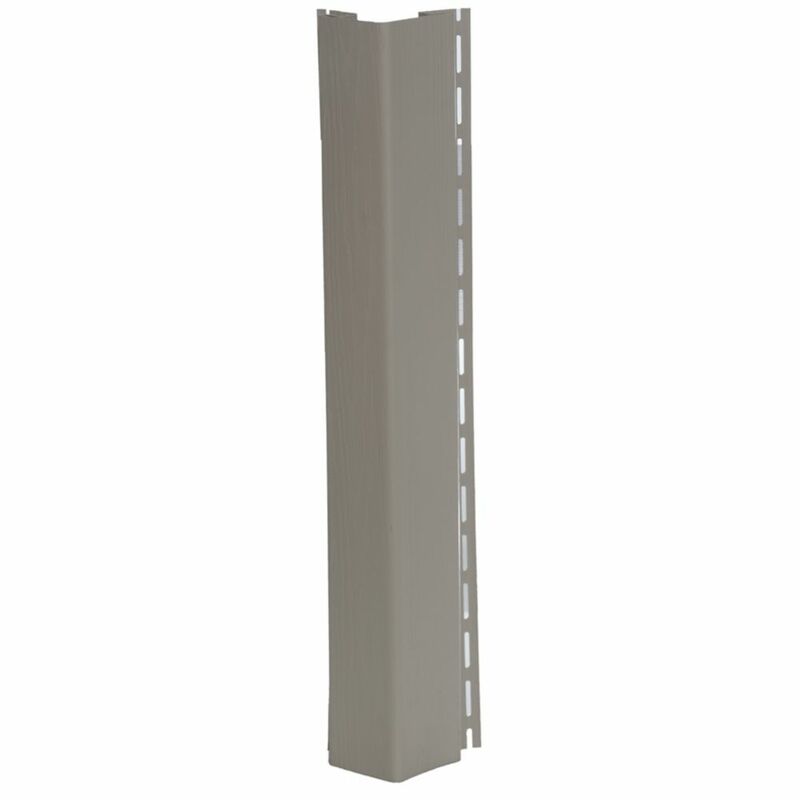 The 1 1/4 inch Outside Corner Post (OSCP) is a one piece unit that sits on the outside of the meeting point between two adjoining walls. It provides the channel to receive siding from each wall. 1/2 Inch Outside Corner Post Cobblestone The 1/2 outside corner post is a one piece unit that sits on the outside of the meeting point between two adjoining walls. It provides the channel to receive siding from each wall.